How Will Video Games Fare In The Age Of Trump? – AccessPressMag.com, welcome you! 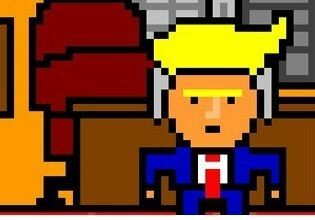 Home > Tech Blog > How Will Video Games Fare In The Age Of Trump? How Will Video Games Fare In The Age Of Trump? Note: This entry is coauthored with Patrick Markey, Professor of Psychology at Villanova University and coauthor of our book Moral Combat: Why the War on Violent Video Games is Wrong. While the rest of the world agonizes over low-hanging fruit such as catastrophic climate change, whether Russia now runs the U.S., or if the liberal media is out to assassinate our president (figuratively one presumes), let’s turn our attention to the really important question of our age. What is going to happen with video games now that Trump is our president? Video games, especially violent ones, have long been a political whipping child whenever some perceived social ill needs a folk devil to blame on. Mass murder? Check. My child mouthed off to me? Violent video games. The neighbor’s kid is little chubby? Must be too much time on video games. My house’s construction is second rate? Gotta start training contractors on something more than Minecraft. Despite three decades of research, evidence has failed to meaningfully connect video games to real problems in children. But politics rarely qualms about inconvenient facts. Let’s admit that this looked like a bad election for video games at the outset, once it came down to Trump versus Clinton. As a senator in 2005, Clinton coauthored federal legislation to criminalize the sale of violent video games to minors. In a press conference that year she even claimed that the effects of violent games on kids’ behavior was as bad as the result of lead poisoning on IQ, a claim that is…well…nuts. But what about Trump whose battles with news media haven’t exactly cast him as the avatar of free speech? The worst video game news on the Trump front comes from one of Trump’s tweets from 2012 following the awful Sandy Hook shooting in which a 20-year-old male killed numerous children and elementary school personnel as well as his mother and himself. Soon after, Trump tweeted “Video game violence & glorification must be stopped – it is creating monsters!” But in all fairness Trump was hardly the only person to blame video games. Following this tragedy Senator Lamar Alexander claimed that “Video games is [sic] a bigger problem than guns, because video games affect people.” Former Green Party presidential candidate Ralph Nader quickly likened video games to “electronic child molesters.” It seems the one issue that unites political parties are the dangers of video games following a school shooting. However, the official investigation report would later reveal that the Sandy Hook shooter mostly played Super Mario Brothers and the non-violent game Dance, Dance Revolution. Unlike the video game–trained murder machines depicted by politicians, research done by the U.S. Secret Service suggests that school shooters may, if anything, be less likely to be interested in violent games than their peers. In reality, most well-adjusted children and teenagers play violent video games, all without ever exhibiting violent behavior in real life. What’s more, spikes in sales of violent games actually correspond to decreased rates of violent crime. For example, when new versions of Grand Theft Auto or Call of Duty are released there tends to be significant decreases in homicides. The reason for such a finding is because video games, especially violent ones, naturally target the exact people most likely to commit crimes and to be the victims of crime. The profile of a typical gamer, a male between the ages of 15 and 29, is almost an exact match for the profile of both the typical violent criminal and the typical crime victim. Now consider the number of hours video games keep these potential criminals and victims entertained and off the streets. Male gamers within this target age in the United States spend a total of 468 million hours each month playing video games. In a way, video games are the ultimate crime-reduction program—probably even more effective than, say, a large wall—one that naturally targets those individuals at the highest risk for committing or being victims of violence. No taxpayer money required (and what conservative wouldn’t appreciate that?). Now, in fairness to Donald Trump’s initial reaction to Sandy Hook, his tweet is five years old, and as far as we know Trump hasn’t said much publicly about video games since. The video game industry seems confident of their luck during the Trump era, and granted, most previous administrations haven’t shown much interest in tackling video games (perhaps coming to their senses that this would be silly.) Right now, Trump seems mostly concerned with Mexican terrorists and FaceTiming with Vladimir Putin (although Syria may have taken some shine off the apple there). But inevitably (and horrifically) some young kid will do something criminally tragic, and because he’s a young kid he’ll, like all young kids will have played some violent video game at least once, ever. It will take cool heads to realize that’s no more revealing than noticing the offender wore sneakers or watched Sesame Street when he was young. So, we’re dependent upon cool heads to see reason and stick to the scientific data when it comes to crafting policy and responding to tragedy. Good luck with that. N.C. GOP Bragged About Gerrymandering. It May Not Be Enough To Convince SCOTUS.